In times gone past they headed to California to dig for gold. Now it’s their wines that are finding gold. Loma Prieta winery’s gold rush is led by its Pinotage. The medal count for the 2010 Pinotage so far this year is eleven Golds, and it also won Best of Class Red Vinifera Varietal for the second year running at the Indy International Wine Competition. 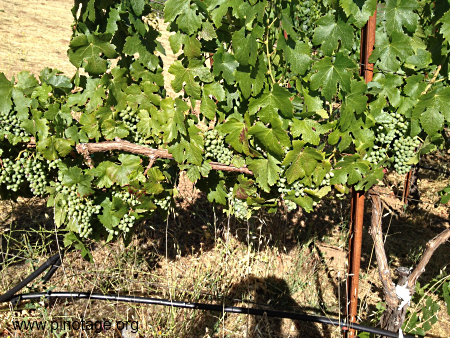 The winning 2010 Pinotage, as with their previous vintages, comes from the Amorosa Vineyard in Lodi, but owner Paul Kemp’s future plans include releasing four separate single vineyard Pinotages. This year he is bottling his first Estate wine from his own vineyard, as well as from the Amorosa Vineyard in Lodi, and he’s also made wines from grapes grown in Karma Vineyard, Lodi and Sierra Ridge, Amador County. 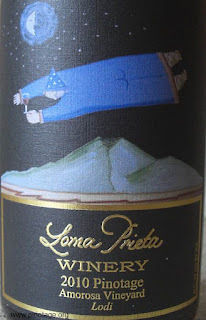 My notes on the Loma Prieta 2010 Pinotage Amorosa Vineyard noted blueberry and cherry flavours, there’s a good fruit acidity which makes the wine very moreish, some tannins and, after the bottle has been open some time I started to notice an underlying soft coffee accent developing. It’s a delightful wine now and I think it will only get better.